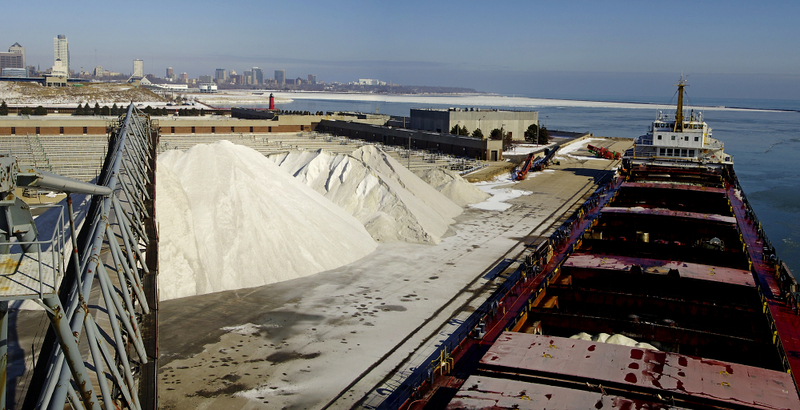 While going through some old photos I found this panoramic picture of the ship I was working on discharging winter road salt in Milwaukee Wisconsin in February 2013. Some good lines making it a good composition, an interesting picture. It is interesting. It makes you appreciate the scale of such enterprises.